CrazyTalk Animator (CTA) is the world's easiest 2D animation software that enables all levels of users to create professional animations with the least amount of effort. With CTA3， anyone can instantly bring an image， logo， or prop to life by applying bouncy Elastic Motion effects. 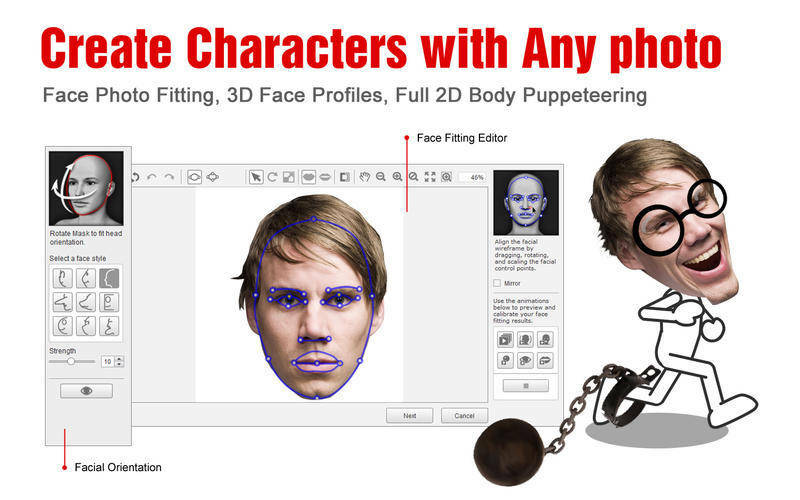 For the character part， CTA3 is built with 2D character templates， valuable motion libraries， a powerful 2D bone rig editor， facial puppets， and audio lip-syncing tools to give users unparalleled control when animating 2D talking characters for videos， web， games， apps， and presentations. Processed in 0.016706 second(s), 7 queries, Gzip enabled.